ASU is a natural vegetable extract made from avocado and soybean oils. Avocado soybean unsaponifiables has been a prescription treatment for osteoarthritis in France since the early 1990s. 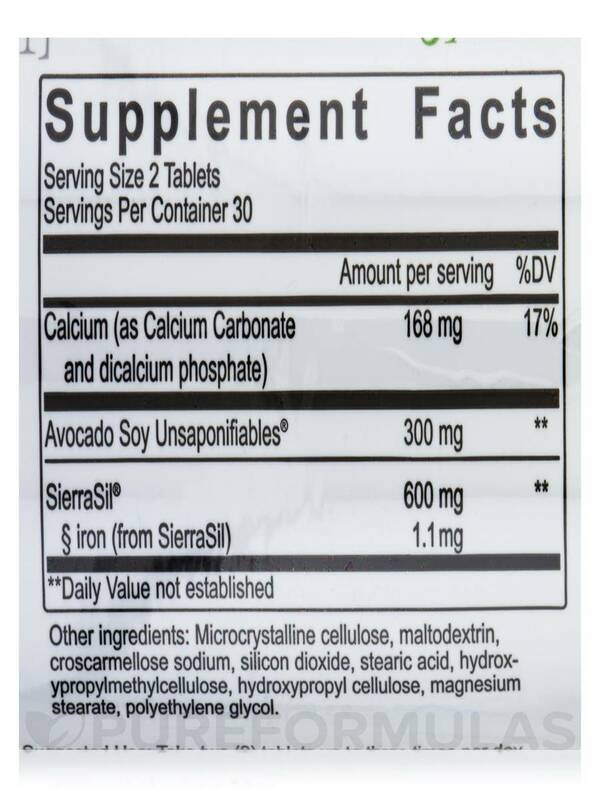 ASU comes from a very small fraction of the natural oil found in avocados and soybeans; the supplement is mixed in ratio of one part avocado to two parts soybean. A large quantity of raw material—fresh avocados and soybeans—is needed to make ASU. Only a fraction of the whole avocados and soybeans is made up of oil‚ and of that oil‚ only a tiny fraction is the unsaponifiable portion. There’s so little ASU in a single avocado or handful of soybeans that you couldn’t possibly eat enough of them to get a useful dose of ASU; only the supplements contain enough to be therapeutically useful. Since ASU is a mixture of many different types of plant compounds‚ no one to date has been able to identify exactly which components are most important. Based on the research that has been done with individual components‚ the bulk of the evidence points towards phytosterols‚ a natural group of fatty substances found in all plants‚ as the active ingredients in ASU. 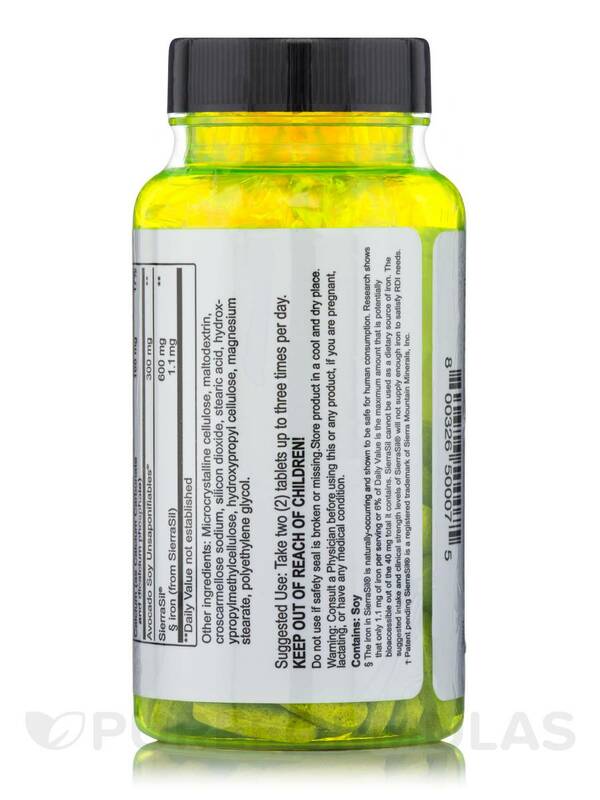 Also present in ASU are the tocopherols‚ the family of compounds that include the many forms of vitamin E.
One of the best aspects of ASU treatment is that it allows the majority of users to significantly decrease their intake of NSAIDs. Because of the dangers and toxicity of these drugs‚ anything that is safe and can reduce or eliminate a person’s reliance on them should be considered a huge success. In a study‚ 260 people aged between 45 and 80 with documented osteoarthritis of the knees‚ taking regular NSAIDs were given either 300 mg or 600 mg of ASU or placebo in a double-blind placebo-controlled trial lasting three months. Even though the duration of treatment was relatively short‚ there was a significant improvement in the measures of pain and function and a significant reduction in both the number of days taking NSAIDS as well as the overall dosages of NSAIDs required to control pain. 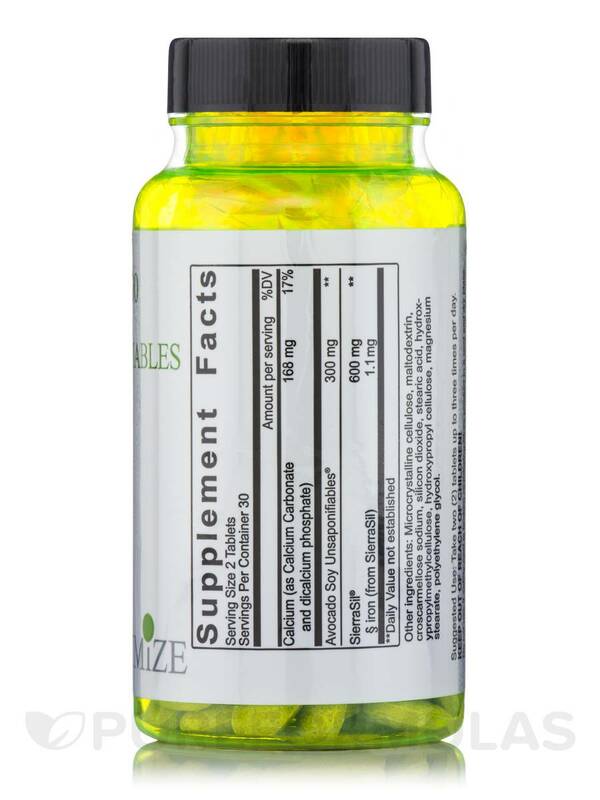 ASU provides a safe and highly effective answer for people of all ages‚ and being a natural vegetable extract; it is beneficial for the entire body as well. 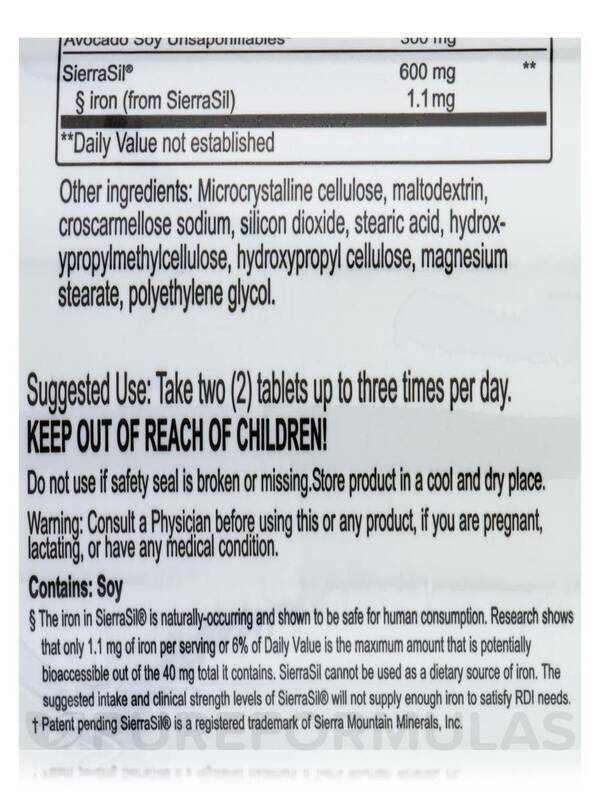 Other Ingredients: Microcrystalline cellulose‚ maltodextrin‚ croscarmellose sodium‚ silicon dioxide‚ stearic acid‚ hydroxypropylmethylcellulose‚ hydroxypropyl cellulose‚ magnesium stearate‚ polyethylene glycol. 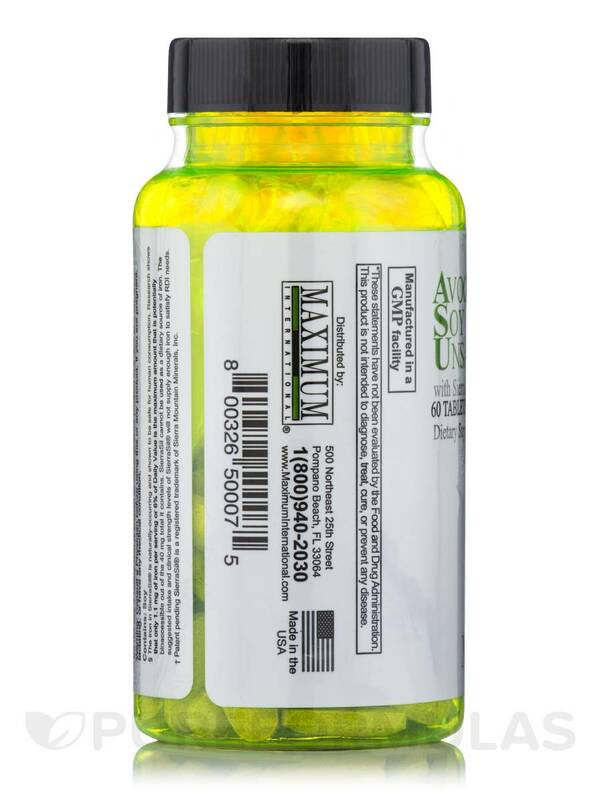 Take two (2) capsules up to three times per day. Consult a physician before using this or any product‚ if you are pregnant‚ lactating‚ or have any medical condition. Keep out of reach of children. Do not use if safety seal is broken or missing. Store in a cool‚ dry place. 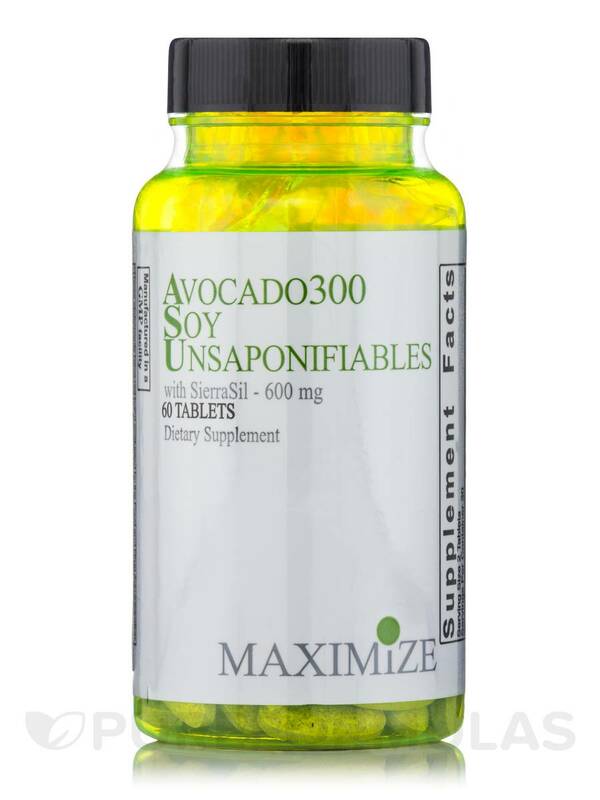 Avocado 300 Soy Unsaponifiables by Maximum International is as super product helps a lot with constipation. 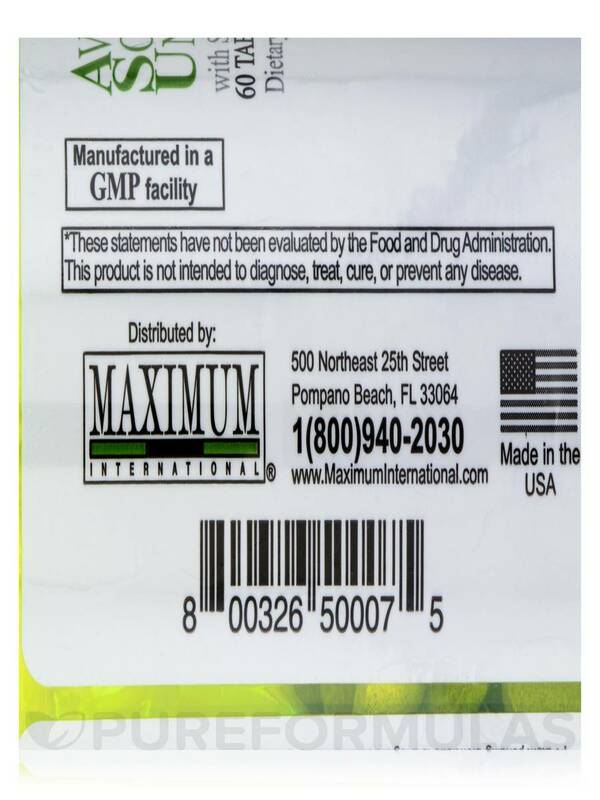 I discovered this substance online as a treatment for osteoarthritis, that has been used in Europe for more than 15 years without significant adverse effects. It is reported to take up to two months to see results, so because I just began Avocado300 Soy by Maximum International approximately one week ago, I am not sure of the effect it may have. My ordering experience with PureFormulas was a good one, and the product arrived quickly. No adverse effects so far. I wish it had been a soft gel capsule.